Kenny Mann’s parents were Polish and Romanian secular Jews and Socialists who fled Europe to settle in Kenya as refugees in 1942. Born and raised there, Mann examines how their Jewish Socialist values enabled them to fully adapt to and profoundly identify with Africa and Africans. While British settlers claimed land and exploited African people, her parents fully engaged with Africa and the African identity, devoting their lives to fighting hunger, disease and poverty and becoming politically influential. 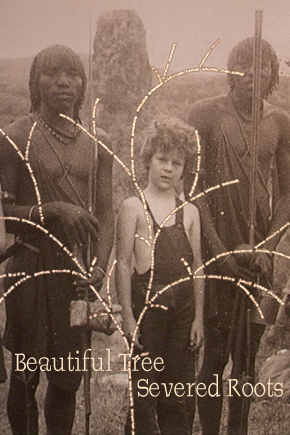 Set against the backdrop of their lives between the Mau Mau uprising of the 1950s and Independence in 1963, the author examines her own identity as a “British” girl in an Eastern European family, as a white in an African country and as an anti-colonialist in a colony. She also explores her siblings’ identities as they search for meaning through African tribal and spiritual rituals, presenting a fascinating examination of Jewish identity and an exposition of Kenya’s colonial history from a unique point of view. 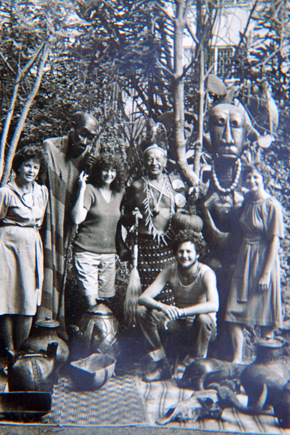 Rare archival footage helps to integrate the family’s lives in Kenya with major political events, such as the assassinations of the young Tom Mboya and of Bruce McKenzie, both close family friends. Shot in Kenya, Poland and Romania, the unconventional format of six chapters utilizes live and archival footage, a variety of visual elements, Mann’s parents’ voices culled from 30 years of cassette tape correspondence, music, and the filmmaker’s own narration. Kenny Mann left Kenya for good in 1968 after graduating from the University of Nairobi. She returns frequently to maintain connections and to breath the spicy scent of African soil. After two years in England and twelve years in Hamburg, Germany, she moved to the United States, where she now lives in a small village on the East End of Long Island, NY. She has authored several books for the educational market, among them an award-winning six-part series titled African Kingdoms of the Past (Simon & Schuster/Dillon Press, 1992 - 1996), as well as The Ancient Hebrews and Isabel and Ferdinand in Fifteenth Century Spain (Benchmark Books, 1995 and 1996). She currently teaches Documentary Film - All Aspects of Production, Writing a Treatment, Marketing at the Digital Film Academy in Manhattan.